This 30 minute program includes just right films for children 2.5 to 5 years. This program is canceled if the Natick Public Schools are closed due to inclement weather. Questions? Please call the Children's Room at 508-647-6522. This month the Monday Night Book Club is reading The Stranger in the Woods by Michael Finkel. "A remarkable tale of survival and solitude--the true story of a man who lived alone in a tent in the Maine woods, never talking to another person and surviving by stealing supplies from nearby cabins for twenty-seven years." To check availability or place a hold, please see the catalog. Copies of the book in various formats can also be picked up anytime at the circulation desk prior to the meeting. Learn more about the Monday Night Book Club on our website. Families are invited to stop by the Children's Room to experience imaginative play together. Tonight's theme is Community Helpers. 50 minute storytime with simple craft activity for young children ages 3 to 6 with their caregivers. Younger siblings welcome. Come listen to stories, sing some songs, and craft a takeaway together. Today's theme is Puddles n' Rainbows. No registration is needed. Just check in at the Children's Room desk for a nametag when you arrive. Tuesday, March 26, 10:30 a.m.; "Welcome Spring"
Tuesday, April 2, 10:30 a.m.; "Monkey Business"
Tuesday, April 9, 10:30 a.m.; "Little Creatures"
Tuesday, April 23, 10:30 a.m.; "Puddles n' Rainbows"
Tuesday, April 30, 10:30 a.m.; "Once Upon a Time"
Tuesday, May 7, 10:30 a.m.; "How Does Your Garden Grow?" Happy Hands is canceled if the Natick Public Schools are closed due to inclement weather. Thank you for keeping sick children at home. Try something new at Adult Art Night! This month all materials will be provided for you to make an elegant arrangement of crepe paper flowers. 45 minute drop in story time with rhythm activities for children ages 3, 4 and preschool 5. Come catch the beat! Join us for stories that invite rhythmic play with clapping hands, tapping feet, shakers, and drums! Rhythm Kids is canceled if the Natick Public Schools are closed due to inclement weather. Thank you to the Friends of the Morse Institute Library for helping to make this program possible. 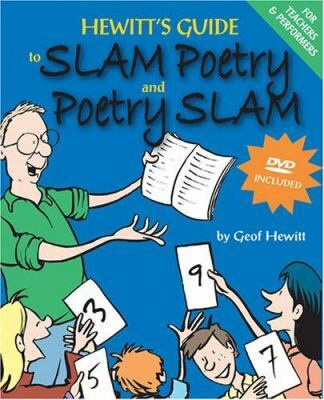 A slam is a competitive event where poets perform their own work and are judged by our family friendly audience. In our contest only the audience gets SLAMMED! · This program is for all ages with two age levels of competition: Dr. Seuss, age 14 and under, The Dickinson, ages 15 and older. · Poets should arrive at 6:45 pm to register. performed in 3 minutes or less. · Poems must be appropriate for all ages. · No registration required for audience participation. If you’re ready to stand in front of an audience and read your original work, you can slam! Thank you to our sponsors the Friends of the Morse Institute Library and The Center for Arts in Natick. For more information please contact Karen Perkins at 508-647-6520 or kperkins@minlib.net. SCORE (Service Corps of Retired Executives) volunteers will provide area small business owners with free, one-hour counseling and advice sessions. Registration is required. Click here to schedule a 1-hour small business counseling session or call 617-565-5591 for information. All sessions will take place in Study Rooms 1B and 1C on the first floor (inside the Morse Room). Language play for caregivers and little runabouts. For walkers under age 2. Each program includes 20 minutes of songs, rhymes, stories, and stretches for toddlers and grown-ups together. No other siblings, please. Sign up is required for this event. Registration begins on Friday, April 12. Registration is accepted on a first come first served basis. No groups please. Register online below or call the Children's Room at 508-647-6522 beginning on the sign up date for this program. Thank you for notifying the library if you need to cancel your registration. Toddler Time is canceled if the Natick Public Schools are closed due to inclement weather. Thank you to the Friends of the Library for funding that helped purchase materials for this program. Help the Stitchers make flowers for creating the flower arbor, Tunnel of Love. 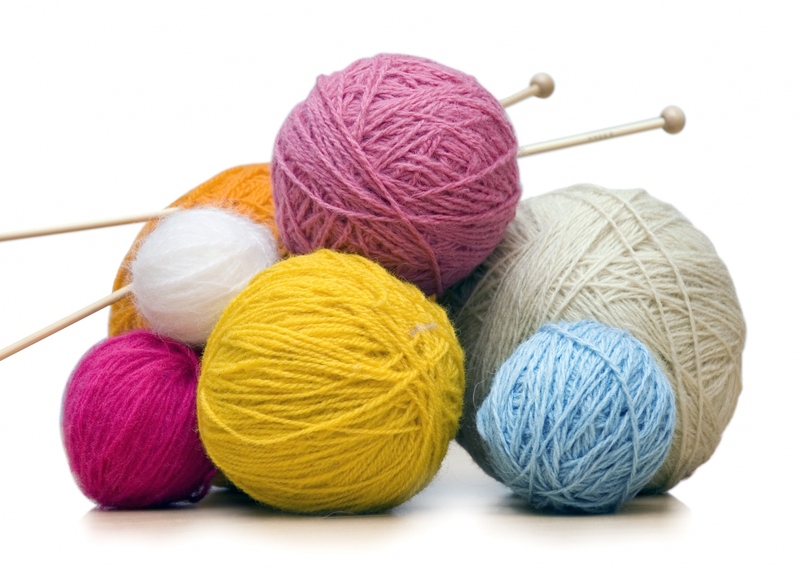 Some materials provided, yarn and patterns, but if you have needles size 10 or larger or crochet hooks please bring them. Drop in story and craft time for families with children ages 3-9. Children must be accompanied by an adult. No registration is needed for this event. Today's theme is Spring is in the Air. Program may be canceled due to sickness or bad weather at the discretion of the library. In the event of inclement weather, please call the library before coming to the program. Questions? Please visit the Children’s Room or call us at 508-647-6522. Join us for Storytimes for two year olds and first time threes with their grown-ups. Siblings welcome. Each program includes 30 minutes of stories, songs, fingerplays and stretches. Today's theme is Storybook Stars. Sign up begins Monday, April 22. Same day drop-ins also welcome as space allows. Monday, March 25 at 11:00 a.m. "Barnyard Buddies" - Sign up begins Monday, March 18. Monday, April 1 at 11:00 a.m. "Celebrate Spring" - Sign up begins Monday, March 25. Monday, April 8 at 11:00 a.m. "Splish Splash" - Sign up begins Monday, April 1. Monday, April 29 at 11:00 a.m. "Storybook Stars" - Sign up begins Monday, April 22. Monday, May 6 at 11:00 a.m. "Going Places" - Sign up begins Monday, April 29. Monday, May 13 at 11:00 a.m. "Growing Things" - Sign up begins Monday, May 6. We always miss our Little Listeners when they cannot attend, but thank you for keeping sick children at home. An adult must register and attend with each little listener. Register online below or call the Children's Room at 508-647-6522 beginning on the sign up date for each program. Thank you for notifying the library if you need to cancel your registration. Little Listeners is canceled if the Natick Public Schools are closed due to inclement weather. Tonight's theme is Under the Sea. Come listen to stories, sing some songs, and craft a takeaway together. Today's theme is Once Upon a Time. Fortnite is back! Join us for a 2 hour tournament with pizza & prizes! Tournament runs for 2 hours and all players will play through to the end. This is a Teen event for ages 11-18. Event is free, but space is limited & registration is required. Contact Robin for more info: 508.647.6400 x 1546 or email teens@morseinstitute.org. Teen events are generously sponsored by the Friends of the Morse Institute Library. Language play for caregivers and pre-walkers. Each program includes 20 minutes of songs, rhymes, and stretches for babies and grown-ups. No older siblings, please. Sign up is required for this event. Registration begins on Monday, April 22. Registration is accepted on a first come first served basis. No groups please. Register online below or call the Children's Room at 508-647-6522 beginning on the sign up date for this program. Thank you for notifying the library if you need to cancel your registration. Baby Play is canceled if the Natick Public Schools are closed due to inclement weather. Thank you to the Friends of the Morse Institute Library for funding that helped purchase materials for this program. This class is designed to be creative, fun, and helpful. Discover what you are really interested in writing about and then practice the skills needed to create your own form of writing! You are encouraged to try out new things, be willing to struggle so you can get better, and write from your heart. Use a library laptop or bring your own. Known for her uplifting, fun-filled performances, Fran Friedman presents a morning of musical fun for children ages 2 and 3, and their caregivers. Younger siblings welcome. No sign up is needed. Just check in at the Children's Desk for a nametag when you arrive. Friday, February 1 at 10:30 am. Friday, March 1 at 10:30 am. Friday, April 5 at 10:30 am. Friday, May 3 at 10:30 a.m.
Friday, June 7 at 10:30 a.m. Sing Me a Song is canceled if the Natick Public Schools are closed due to inclement weather. Questions? Call the Children's Department at 508-647-6522. Join us at our monthly meetings and help us cast off for our community! We'll provide patterns and some yarn, and works in progress are welcome. The Morse Institute Library Stitchers is a service-oriented knitting and crocheting group that creates handmade items for various nonprofit organizations. Past projects include hats and scarves for the Natick Service Council, 2014 Boston Marathon scarves, tree ornaments for the Massachusetts Horticultural Society's Festival of Trees, bookmarks for the Friends of the Library book sale, and much more. Today's theme is Going Places. Sign up begins Monday, April 29. Same day drop-ins also welcome as space allows. Come listen to stories, sing some songs, and craft a takeaway together. Today's theme is How Does Your Garden Grow?. The Internet of Things (IoT) — the concept that things can communicate their status in real time and we can act on that data immediately — has already led to neat “smart home” devices and improved business efficiency — but also to unprecedented threats to personal privacy and security, and even global cyber-security threats. It may well have been responsible for the recent Boeing 737 MAX crash. Learn about the IoT’s promise and perils when IoT thought leader W. David Stephenson reads from his new IoT strategy guide, “The Future Is Smart." He will also sign copies of the book. Siemens, one of the world’s oldest industrial firms, achieves an astonishing 99.9985% quality rate by using the same IoT devices it sells to others. the newest Apple Watch can instantly diagnose serious heart conditions, and alert 911 if you fall. jet turbine manufacturers reduce service costs, increase reliability and shift from selling to leasing the turbines through IoT-enabled “predictive maintenance. In addition to the Boeing tragedy, he will also emphasize that several highly-publicized incidents have already shaken public and corporate confidence in the IoT, and that companies must adopt the European “privacy by design” approach to assure privacy and security are an integral part of the devices — or risk public rejection. He will also introduce the concept of “circular companies,” a radical management reform made possible by the IoT undercutting information silos, facilitating collaboration and unleashing unprecedented creativity. “The Future Is Smart” is published by HarperCollins as part of its new Leadership Imprint. Stephenson is principal of Stephenson Strategies (Millis, MA), an IoT consulting firm, and a columnist for Industry Weekmagazine. Event is free and no registration is required. Sign up is required for this event. Registration begins on Monday, April 29. Join us for a Minecraft Gaming session on the library's new 24/7 Minecraft Server! The server is available from home & has lots of cool play options including a Battle Arena! This is a Teen/Tween event for grades 4-8. Event is free, but space is limited & registration is required. Contact Robin for more info: 508.647.6400 x 1546 or email teens@morseinstitute.org. Parents, please note: Game content includes Creative, Survival Mode, & Player vs. Player modes (fighting/weapons). If you have questions about the club, please contact the Teen Librarian before registering your teen. Teen & Tween events are generously sponsored by the Friends of the Morse Institute Library. Today's theme is Growing Things. Sign up begins Monday, May 6. Same day drop-ins also welcome as space allows. When FBI agents Lacey Sherlock and Dillon Savich apprehend the String Killer, a calculating prop-and-maze maker named Marlin Jones who detests foulmouthed women who verbally abuse their spouses, they begin to doubt whether he really murdered Sherlock's sister seven year earlier. Though it's pretty easy to guess who the real villain will be, a lot of action occurs , while Sherlock figures it out. Hypnosis, an FBI romance, savage jealousy, and a sister with secrets twist this thriller in and out of the mirrored mazes Marlin so proudly builds. The Morning book discussion meets monthly September through June on the third Wednesday of the month at 11 AM. Selections for this year will be historical fiction and nonfiction presidential themed books. The group is drop in and books are available one month in advanced at the circulation desk on the first floor of the library. Light refreshments and tea served. People often worry about age discrimination when seeking new employment, spending an inordinate amount of time convincing themselves that they are no longer relevant in the workforce. We will address how job seekers can overcome age bias and turn their fears into selling points. Gary Gekow is a Senior Employment Specialist with 30 years of recruiting experience in the Boston staffing industry. He works closely with client companies in many industries and job seekers in various specialties. Drop in crafting with recyclables for families with children ages 3--10. Stop by between 10:30 and noon. No registration is necessary. Children must be accompanied by an adult. Program may be cancelled due to sickness or bad weather at the discretion of the library. Today's theme is Recycling Adventures. This month the Monday Night Book Club is reading Beautiful Ruins by Jess Walter. "A novel that spans fifty years. The Italian housekeeper and his long-lost American starlet; the producer who once brought them together, and his assistant. A glittering world filled with unforgettable characters." Sign up is required for this event. Registration begins on Monday, May 13. In addition to the regular first Saturday of the month, we now meet the 4th Thursday from 6:45-8:45.
learn new techniques and share ideas. The MIL Stitchers includes any type of stitching: knitting, crochet, rug hooking, hand quilting, whatever is your pleasure. What is Tinkerlab? Awesome activities exclusively for students in grades 2, 3, and 4. No sign up is required. Just drop in to join the fun. Today's activity TBA. Please check back later. Tinkerlab is canceled if the Natick Public Schools are closed due to inclement weather. This month the Monday Night Book Club is reading Astrophysics for People in a Hurry by Neil deGrasse Tyson. "Offers witty, digestible explanations of topics in cosmology, from the Big Bang and black holes to quantum mechanics and the search for life in the universe." This month the Monday Night Book Club is reading The Other Einstein by Marie Benedict. "A tale inspired by the first wife of Albert Einstein follows the experiences of Mitza Mari, a female physics student at an elite late-nineteenth-century school in Zurich, where she falls in love with a charismatic fellow student who eclipses her contributions to his theory of relativity." This month the Monday Night Book Club is reading The Astronaut Wives Club by Lily Koppel. "Describes what life was like for a group of military wives, including Annie Glenn, Rene Carpenter, Betty Grissom, and Louise Shepherd, who were thrust into the spotlight when their husbands became Mercury Seven astronauts and made them stars." This month the Monday Night Book Club is reading The Sandcastle Girls by Chris Bohjalian. "Parallel stories of a woman who falls in love with an Armenian soldier during the Armenian Genocide and a modern-day New Yorker prompted to rediscover her Armenian past." This month the Monday Night Book Club is reading The Lost City of the Monkey God by Douglas Preston. "#1 New York Times bestselling author Douglas Preston takes readers on an adventure deep into the Honduran jungle in this riveting, danger-filled true story about the discovery of an ancient lost civilization." This month the Monday Night Book Club is reading Circe by Madeline Miller. "Follows Circe, the banished witch daughter of Helios, as she hones her powers and interacts with famous mythological beings before a conflict with one of the most vengeful Olympians forces her to choose between the worlds of the gods and mortals." This month the Monday Night Book Club is having its holiday party! Read a book of your choice and come prepared to discuss it with the other members! We will also be revealing the 2020 book list! Sign up for our monthly newsletter and get Morse Institute news and events delivered to your inbox!